"Fascinating insights crop up on every page." "Where the author shines is his common sense and the practical tips he offers along the way. I have never seen a better short summary of the common probability distributions than the one that appears on page 235 with the heading 'Every probability distribution tells a story.'" "I enjoyed reading this book and learned a great deal from it. Modeling with Data filled in a lot of holes in my knowledge, and I think that will be true in general for other readers as well. There is a lot of high-quality and interesting material here." Modeling with Data offers a useful blend of data-driven statistical methods and nuts-and-bolts guidance on implementing those methods. "I am a psychiatric geneticist but my degree is in neuroscience, which means that I now do far more statistics than I have been trained for. I cannot overstate to you the magnitude of the change in my productivity since finding this book. Even after reading the first few chapters, which explain why data analysis is painful and how one can implement a long-term solution, my research moved forward greatly." Praise for the cover: Techne's cover photo is a winner in the DCist exposed photo contest. About the web site: Thanks to Kelly Hoffman for design assistance, and Sarah Green for reworking the cover photo into the trees at bottom. For technical details, see this entry. Ben Klemens has worked on computational modeling projects in a surprising range of contexts, including work on cross-border migration at the World Bank, terrorist networks and voter turnout with the Brookings Institution, the genetic roots of mental disorders with the National Institute of Mental Health, network externalities as a grad student at Caltech, and even flogging in the 19th-century U.S. Navy at NYU. He wrote Modeling with Data from a sense that there is a rift between how statistics is taught at the university and how it is practiced in the trenches, where the data is never clean and the textbook methods never quite apply. 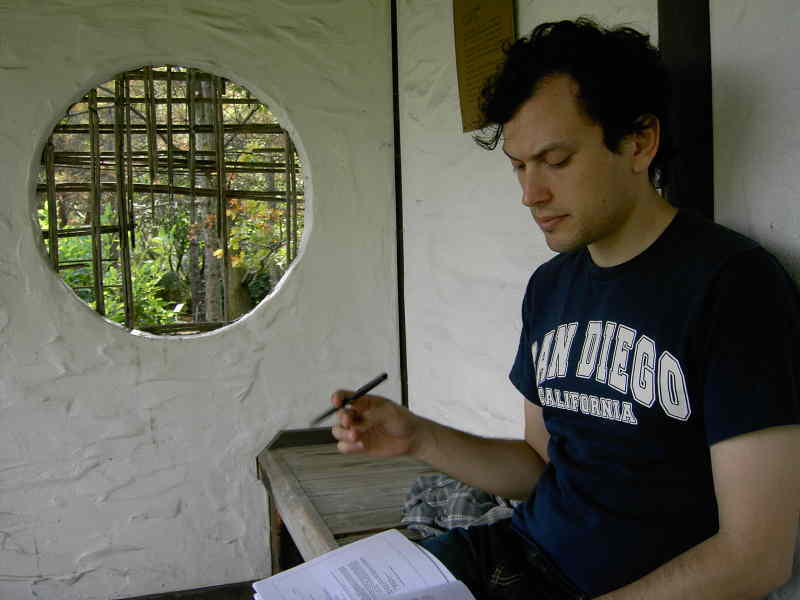 The author in 2007, relaxing at the Jardin botanique de Montréal, editing a draft of the textbook. Ben has also worked extensively to keep mathematics and code like that discussed here free of legal encumbrance. His first book, Math You Can't Use: Patents, Copyright, and Software, was outspoken when it was written in 2004, but its recommendations have largely been accepted by decisionmakers in the U.S. patent system. For a full list of Ben's readily available work, see his download and résumé page.